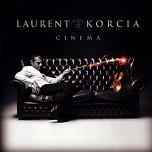 "Cinema" is the latest album from French violinist Laurent Korcia. If you haven't come across his music before, the prize-winning violinist has performed regularly with many top orchestras and conductors, released a number of recordings, and performed in sell-out concerts in Paris. Although this latest album is called "Cinema" and all the tracks have been used within films, the general impression is that the album is really a varied grouping of cross-over tracks from the classical and jazz repertoire in addition to the film genre. The album gets off to a cinematic start with Morricone's tender music from "Cinema Paradiso" and then follows this with a lively rendition of Gershwin's song "It Ain't Necessarily So". "Intermezzo" is a lyric piece taken from a film of the same name by Finnish director Molander and gives Korcia a chance to accompany himself double-stopping style. For the next track, Korcia joins a little jazz combo with accordian (Vincent Peirani) and double bass (Pierre Boussaguet) for an unusual yet hugely entertaining arrangement of Schiffrin's "Mission Impossible" theme. Then we head into Classical territory when the fury of Vivaldi's Summer storm from the Four Seasons is unleashed at a pace to match Nigel Kennedy's. We then travel from Italy to Spain for one of Enrique Granados' Spanish Dances: "Danzas Espanolas No.5". Korcia includes two of his own compositions "Tribulations" based on a theme written for the French film "L'Homme de sa Vie", and the later track "Fuzjko's Waltz", but he clearly has an affinity with the music and style of jazz violinist Stephane Grappelli when he plays "Les Valseuses" by his fellow Frenchman and celebrated Jazz instrumentalist. The album continues with this varied collection, moving effortlessly between films from various decades, and music of contrasting styles. We have some tracks from the composer, director and actor Charlie Chaplin, and the violin showpiece "Danse Macabre" by classical composer Camille Saint-Saens (although it has been used on a film!). We also hear "Summertime", another song from classical/Jazz composer Gershwin's "Porgy and Bess" and Mancini's song "Moon River" from "Breakfast at Tiffany's". There are some more obvious film tracks such as Nino Rota's music from The Godfather and John Williams' heartfelt violin theme from "Schindler's List". The album closes with "Some Day my Prince will Come" from the Disney classic "Snow White". If you haven't heard Laurent Korcia perform before, "Cinema" is a great album to get to know the violinist and experience his relaxed fusion of different styles. The album has been produced by EMI Classics who have posted a taster of Cinema on YouTube of tracks from the album recorded at a live concert. The album can be purchased from these pages on: Amazon.co.uk in the UK, and Amazon.com in the US.